June 6, 2016 — They had titles such as FIDO, EECOM, RETRO and FLIGHT, and the "go/no go" calls they made led to one of, if not the most, amazing achievements in all of human history. And yet, 50 years later, their names and stories remain largely unknown by the public. 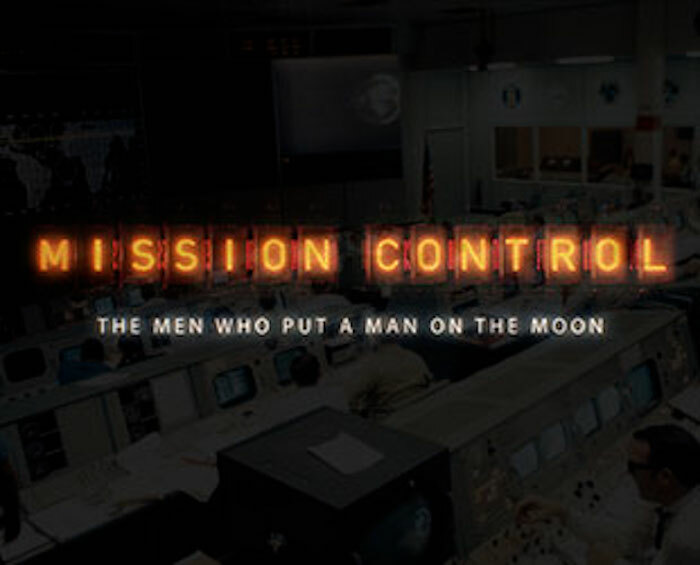 "Mission Control: The Men Who Put a Man on the Moon," a new documentary being previewed for the first time this week, brings the flight controllers from behind the consoles to the front of the cameras. "Mission Control was a central part of the Apollo program, but its [team's] achievements were overshadowed by the astronauts," David Fairhead, director of "Mission Control," said. "Yet without the creation of the concept, the recruiting of hundreds of engineers and the melding of them into an extraordinary team, there would have been no landings on the moon." "Combine this with the humble backgrounds that the [flight] controllers shared, and we have a great story," described Fairhead, whose previous credits include editing the 2006 award-winning documentary "In the Shadow of the Moon" and "The Last Man on the Moon," which premiered in the U.S. in 2015. More than a year in the making, "Mission Control" is being screened for the first time at Spacefest, a convention for space enthusiasts. The feature-length film is scheduled to be shown on Friday, Saturday and Sunday (June 10-12) at the JW Marriott Starr Pass Resort in Tucson, Arizona. Among the attendees at Spacefest will be several of the stars of "Mission Control," including flight directors Glynn Lunney and Gerry Griffin, flight controllers Charles "Chuck" Dietrich and Sy Liebergot, and astronauts Gene Cernan, Charlie Duke and Jim Lovell. The film also features Chris Kraft, the founder of Mission Control, who since 2011 has been the honored namesake of the NASA institution in Houston, and Gene Kranz, who was portrayed by Ed Harris in the 1995 movie "Apollo 13." Less known but of no less important to the outcome of the Apollo missions, the documentary also includes interviews with John Aaron, Steve Bales, Bob Carlton, Jerry Bostick, Ed Fendell, Jim Kelly, Bill Moon and Rod Loe. "I think most remain relatively anonymous [because] it was simply not part of their DNA to seek recognition," said Rick Houston, associate producer of "Mission Control" and the co-author of "Go, Flight! ", the 2015 book that served as the inspiration for the film. "I think they enjoy the recognition now because the fact is, time is running out for their stories to be told." "Mission Control" tells how the now iconic institution came to be, first at Cape Canaveral in Florida for NASA's Project Mercury and then in Houston for the Gemini and Apollo flights. It was 51 years ago this week that the consoles at the Johnson Space Center in Texas were first activated for the Gemini 4 mission. "We had access to the historic Mission Control room itself," said Fairhead. The documentary also shows the Christopher C. Kraft, Jr. Mission Control Center as it appears today, active around the clock in support of the astronauts on the International Space Station. Current flight directors Ginger Kerrick and Courtenay McMillan explain how the primary tenets of the Apollo-era center are still followed by a new generation of controllers. "They describe how modern day operations still depend on the key principles established in the Apollo era," said Keith Haviland, the documentary's producer. "They are also both highly successful women, which shows [both] the evolution of society and of NASA in the last 50 years." That past half-century comes back to life through the film's use of archival NASA footage and original visual effects, illustrating some of the more dramatic moments in Apollo's history. 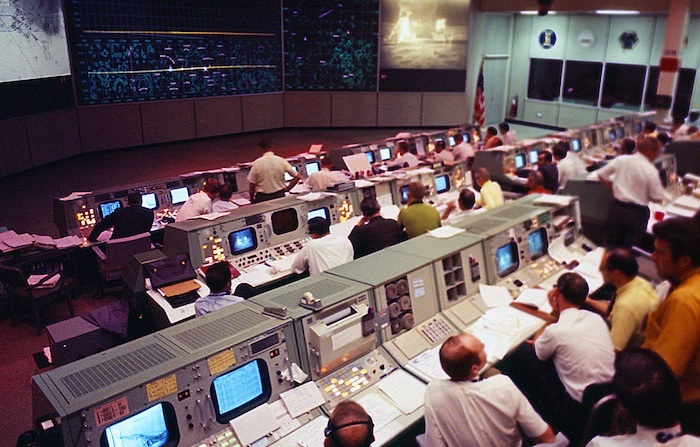 "Mission Control" includes the "Houston, we've had a problem" call from aboard Apollo 13, but also the alarms that almost aborted the first moon landing and the critical call that saved Apollo 12 from a lightning strike. Visuals aside, it is the story of the flight controllers, in their own words, that draws viewers back in time. "To hear a controller say, when they first realized the scale of the problem on Apollo 13, 'A fleeting thought of getting up and going home did pass my mind and, and of course that was not an option, and I knew that,' makes you think, 'What would I do in those circumstances?'" said Fairhead. "My hope is that people will see these men for what they really are," added Houston. "They are not superheroes but ordinary men who accomplished extraordinary things once upon a time. Though many came from humble beginnings, they did not use that as an excuse to stay rooted in those circumstances. They worked ... and then went and landed men on the moon."